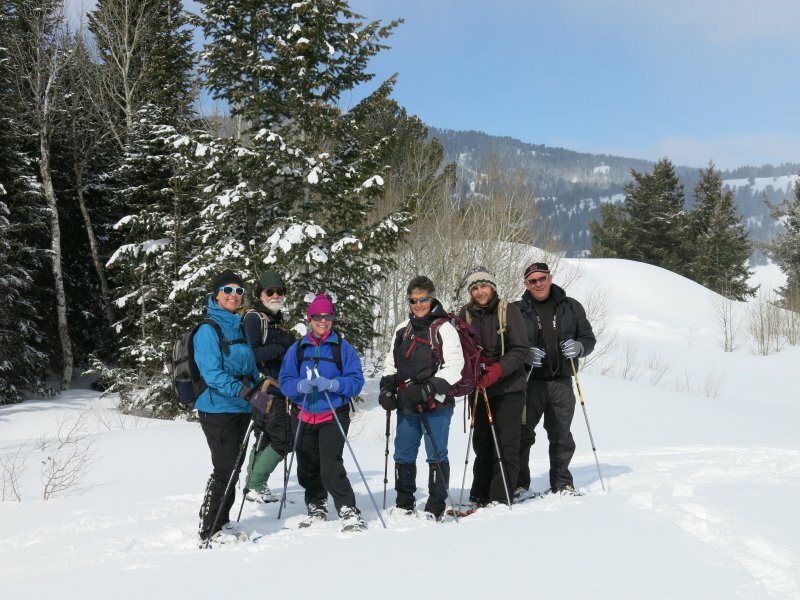 Seven Cache Hikers participated on the Limber Pine trip. Jim was slated to lead, but Dave W. and Dave P. agreed to cover for him. We met in Logan at 10:00, organized carpools and drove 30 miles up Logan Canyon. The parking area at the trailhead was not plowed, so we parked our vehicles along the side of the Highway 89. 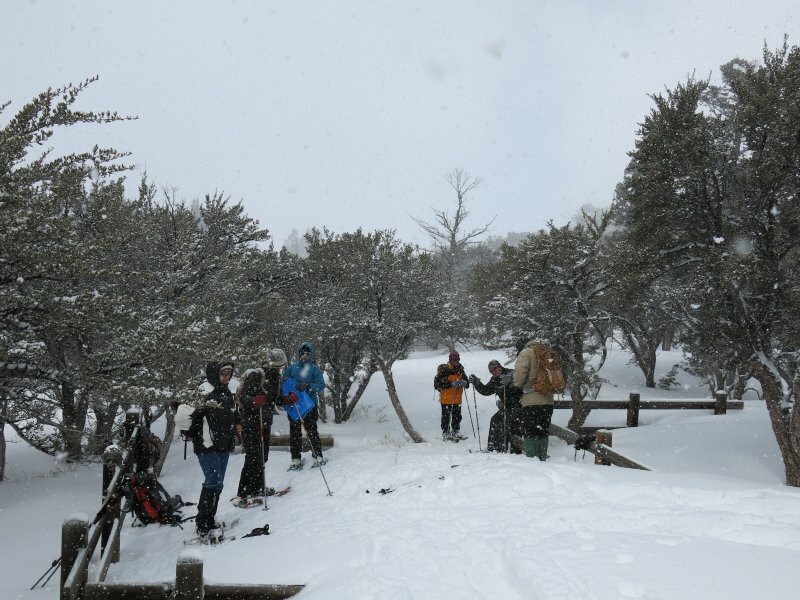 Dave P. was on skis, and Dave W., Jane, Terry, Kathy, Lavae and Kip used snowshoes. We started on the trail at 11:10 under a sunny sky. Recent snowfall and drifts obscured the trail in places, but we managed to follow the established route, arriving at the destination by 11:50. Surrounded on three sides by mountain mahogany trees, a fenced area here provided a good view of "the" limber pine to the east. We ate a quick lunch and continued on the loop trail back toward the trailhead. The trail was temporarily "lost" on the way back, but we quickly got back on track. The snow abated as we traveled, and the sky was partly cloudy upon our 1:00 arrival at the trailhead. 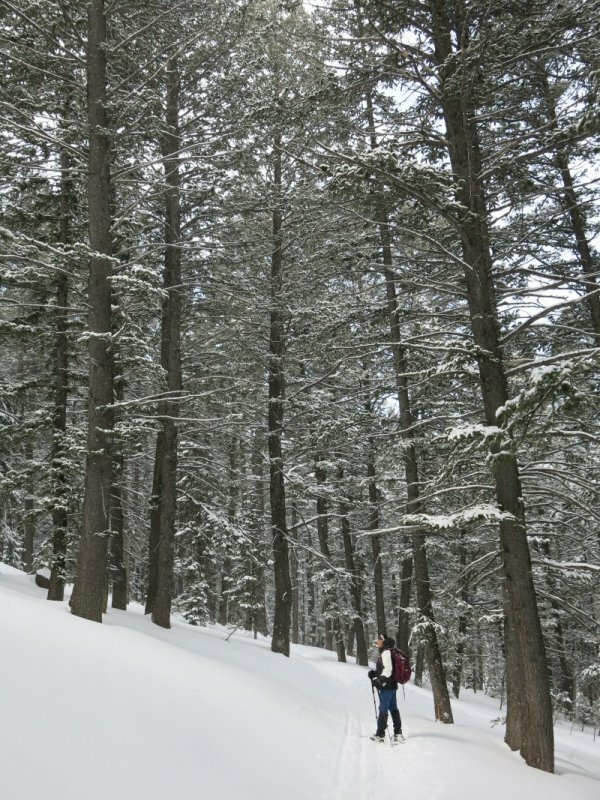 At 7900 feet in elevation, the Limber Pine Nature Trail was a good choice for our for our last scheduled winter trip day. There was plenty of snow on the trail, and the short trail distance provided an early return to Logan. The trail totaled 1.4 miles with 135 feet of elevation (the distance would have been 1.3 miles if we had not strayed from the trail on the way back).